Iran has launched a massive set of military drills as Israel's semi-secret war being waged against its presence in Syria became increasingly public. The Iranian army began its Eqtedar 97 exercises Friday near the city of Nasrabad in the central Isfahan province, involving some 12,000 units as well as support from Iran's air force. The exercise "was aimed at assessing recent changes in the structure of Iran's ground forces" and would utilize armored units, artillery, rapid-reaction forces, mechanized infantry, airborne units combat engineering, telecommunications and drones among other modernized tactics, according to the army's public relations office. The multi-phase exercise began as Mohajer drones and R-4 helicopters conducted a reconnaissance mission ahead of units of the army's 55th Airborne Brigade and 25th Rapid Reaction Brigade being airdropped in by CH-47 Chinook and Bell 214 helicopters. The Iranian army also sought to test its ability to move forces quickly across large swathes of territory, claiming to have achieved "record-breaking" results. 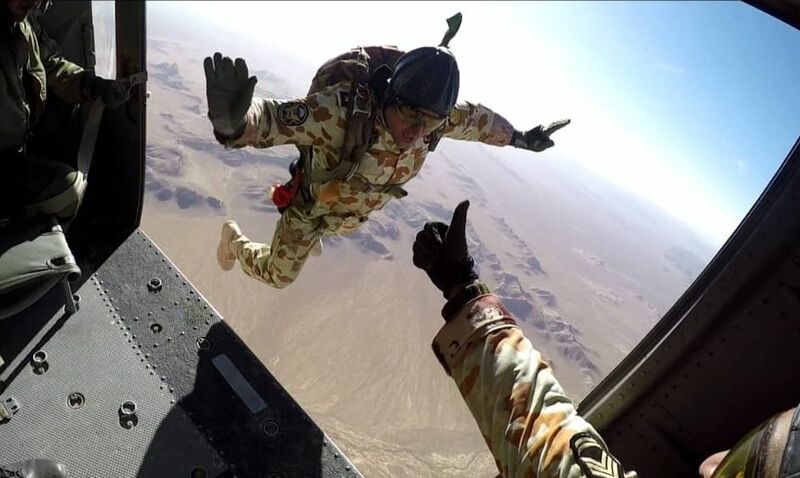 "The demonstration of the power and rapid movement of forces, as well as the support of airborne helicopters during all stages of the exercise, are important features at this stage of the Eqtedar exercise," the Iranian army said Friday on its official website. Iran has frequently trained its forces in public displays of power meant to deter leading rivals the United States, Saudi Arabia and Israel, which have all set out to isolate the revolutionary Shiite Muslim power and its expansive regional influence. Earlier this month, the Iranian air force conducted the Fadayeeyan Harim Velayat 8 exercises that included various fighter jets and other aircraft also deployed to the province of Isfahan. Iran's military is split between two major sectors: the conventional armed forces involved in the recent Isfahan exercises, and the elite Revolutionary Guards who answer directly to the country's clerical leadership headed by Ayatollah Ali Khamenei. Unlike the conventional military, the Revolutionary Guards also operate outside the country's borders, especially through its Quds Force, and have especially operated in support of Iraq and Syria's efforts against mostly Sunni Muslim insurgencies. The growing presence of Iran-backed Shiite Muslim militias across Iraq and Syria has raised concerns among Tehran's top critics, which have labeled some of these groups terrorist organizations. For decades, Saudi Arabia has fought with Iran over regional influence and accuses it of supporting the Zaidi Shiite Muslim Ansar Allah or Houthi movement in neighboring Yemen. Though the U.S. and Iran were both battling the Islamic State militant group (ISIS) in Iraq and Syria, they have accused one another of destabilizing the Middle East with their competing agendas. President Donald Trump's decision to abandon a landmark 2015 nuclear deal has fueled further tensions. Israel and Iran's feud has grown particularly violent in recent years. While Israel has already fought two wars and various skirmishes with the Iran-backed Lebanese Hezbollah movement, it has more recently targeted the group along with various allied militias and Iranian personnel themselves in Syria. Years of airstrikes against suspected Iranian positions in Syria were widely attributed to Israel, but officially remained secret—until recently. 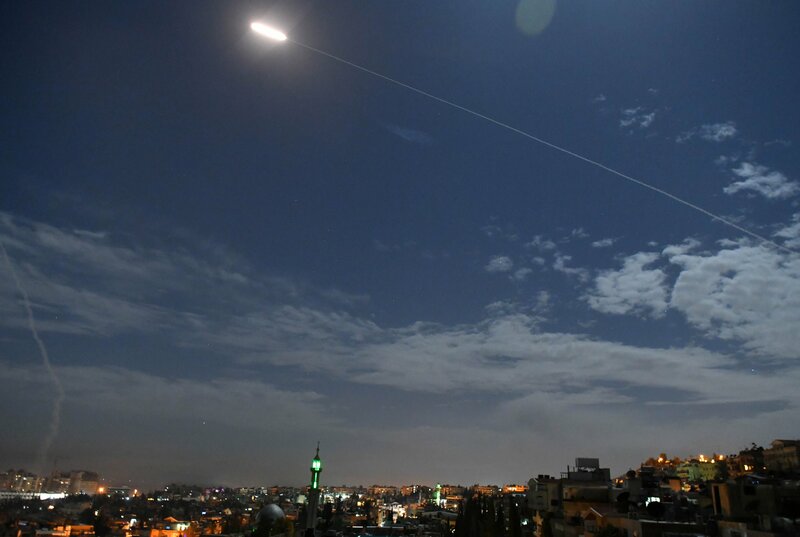 Following an Israeli airstrike south of Damascus in May, a rocket that Israel claimed was fired by Iranian forces targeted the occupied Golan Heights, prompting Israel to launched its largest aerial attack on Syria since the two countries went to war in 1973. Following the attack, which targeted both Syrian and alleged Iranian positions, Israel offered a rare admission of responsibility. Since then, Israel has grown more forthcoming with its operations in neighboring Syria. In September, Israeli spy chief Yisrael Katz revealed that Israel had conducted "more than 200" operations in Syria over the past two years and outgoing Israeli military chief Gadi Eisenkot told London's Times last week that the extent of Israel's intervention in Syria included "thousands of attacks." Israeli Prime Minister Benjamin Netanyahu himself then discussed "hundreds" of Israeli attacks in Syria, including a recent strike on an alleged Iranian weapons depot at Damascus' airport. A week later, the Israeli military said it responded to an Iranian missile strike from Syria with new attacks on suspected Iranian positions in southern Syria. The U.K.-based, pro-opposition Syrian Observatory for Human Rights said these attacks killed up to 12 Iranians, along with other personnel. 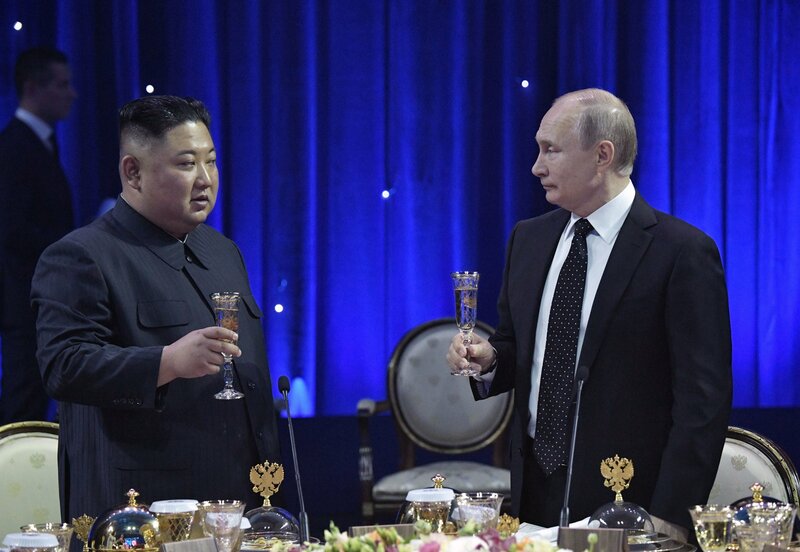 Israel's recent, claimed attacks have elicited rare criticism from Syria's other major foreign ally, Russia, which has deployed advanced anti-aircraft systems that have apparently not yet been employed. Netanyahu's open discussion of Syria operations also accompanies an upcoming election, something that Quds Force commander Qassem Soleimani said Monday may cause the Israeli leader to stir up further tensions along the disputed border between Israel and Syria, according to a source cited by Kuwaiti newspaper Al-Jarida. In an apparent response to this remark, Netanyahu tweeted Wednesday: "Instead of interfering with the elections, Soleimani had better check the state of the Iranian bases that he is trying to establish in Syria. As long as I'm prime minister, we won't stop fighting against them."